Great for breakfast or a snack! 1Prepare a muffin tin with paper muffin cups and set aside. 2Preheat the oven to 375 degrees F.
3Put the bananas in the mixer and mash them together. 4Add the margarine and oil and mix. 6Next add the salt, vanilla, soda and vinegar and mix together slightly. 7Finally, blend in the flour. Do not over beat. 8Scoop the batter into the 12 muffin cups in the muffin pan. 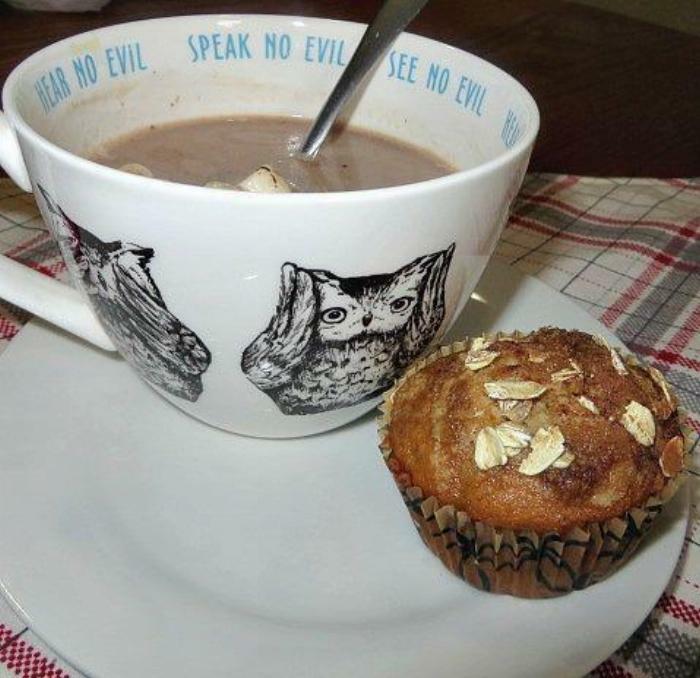 9Sprinkle a pinch of brown sugar, oatmeal and cinnamon on top of each muffin.